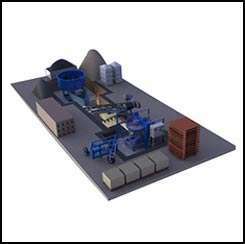 We are offer to sell and services Fly Ash brick Making plant. At Jayem Manufacturing, we offer a comprehensive range of high quality machinery for building materials for various construction requirements. Made of quality raw material and using modern manufacturing techniques, our brick making machines pass through stringent quality control checks to ensure strict adherence to industry standards and parameters. Available at most reasonable prices, our brick making plants like fly ash brick making plant, tile press, etc. are known for their high performance, efficiency, ease of use and durability.